Newton Hall is a remote residential development consisting of a mix of radically altered and extended farm buildings, completed in the early 1990’s. Helm House, a large detached dwelling, sits in mature grounds and offers views towards the church and beyond. The brief was to provide additional living accommodation at ground floor and open the kitchen onto the garden, taking advantage of the views. The existing kitchen was small and isolated and this space was to become the focus of family life. 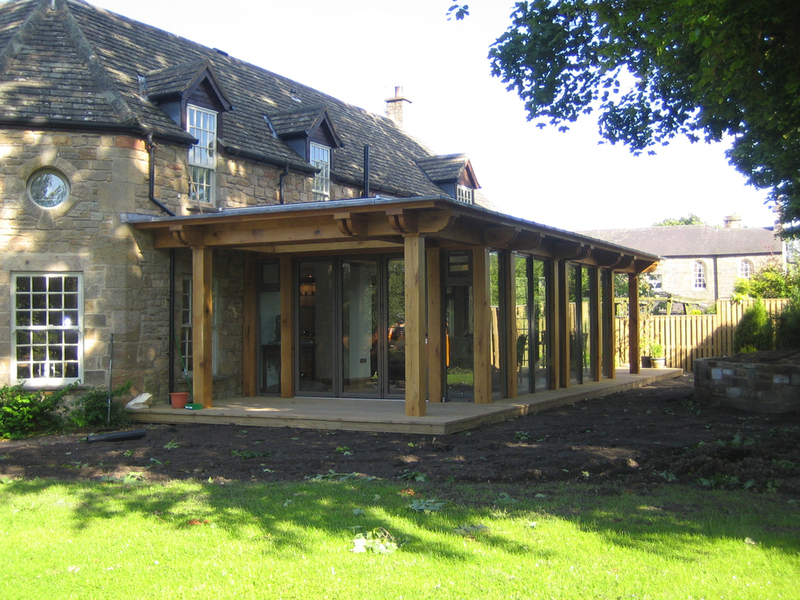 The garden room extension, completed in 2008, is a new single storey oak framed extension, glazed on three sides, with folding doors giving free access into the garden. 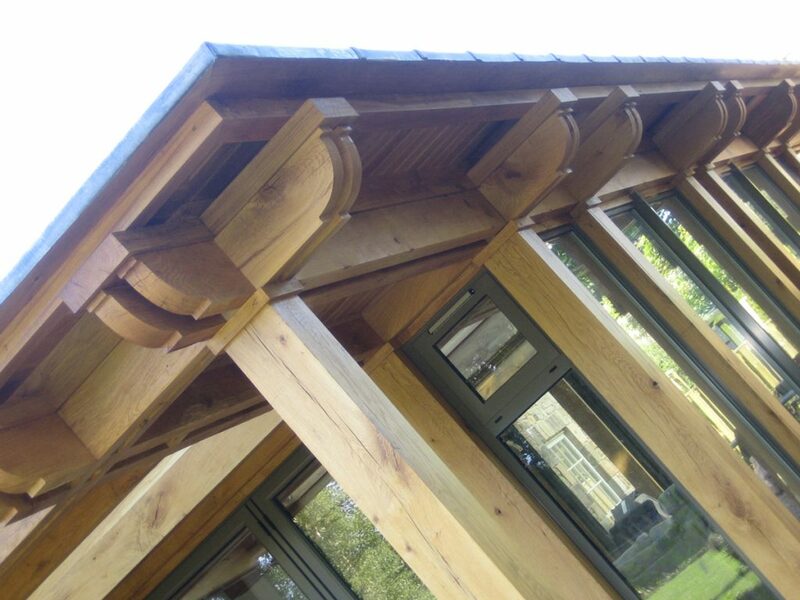 The simple plan form creates an open plan kitchen, living and garden room with clear views into the landscaping. 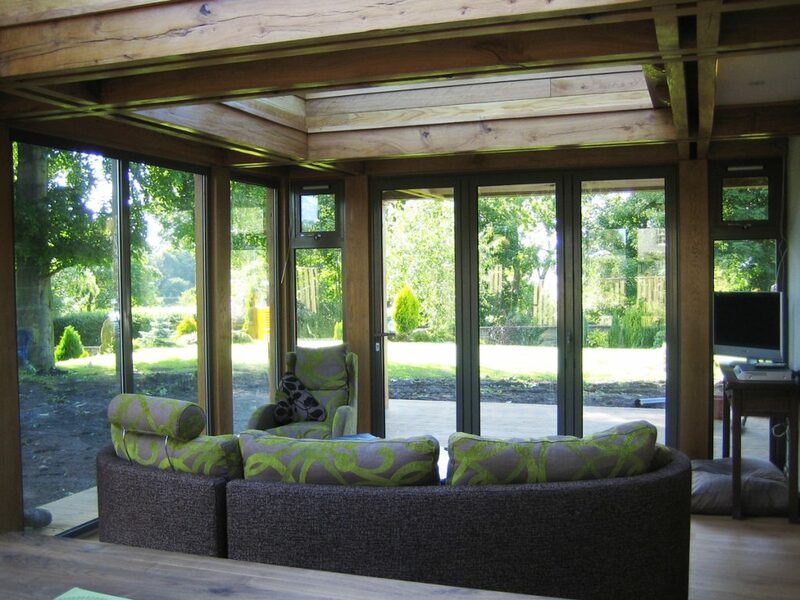 The roof structure extends over the glazing to provide shading in summer and at both ends creates a covered terrace area. 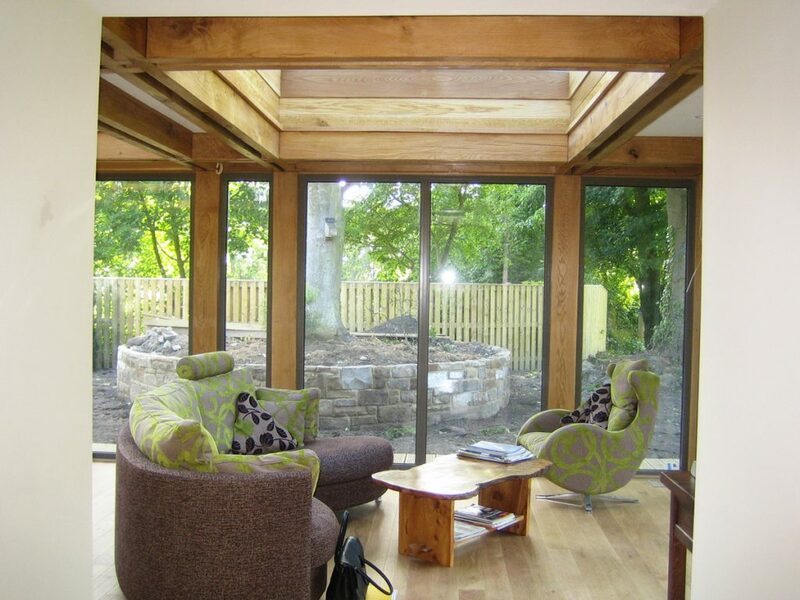 Rooflights within flood the garden room with top light, creating a light filled room in which to enjoy the garden views.